I’m back with a couple of weeks’ worth of SMA Crossover Pullback system trades and I’m seeing a lot of green! If you’re wondering what I’m talking about, make sure you look at the trading rules and risk management adjustments first. 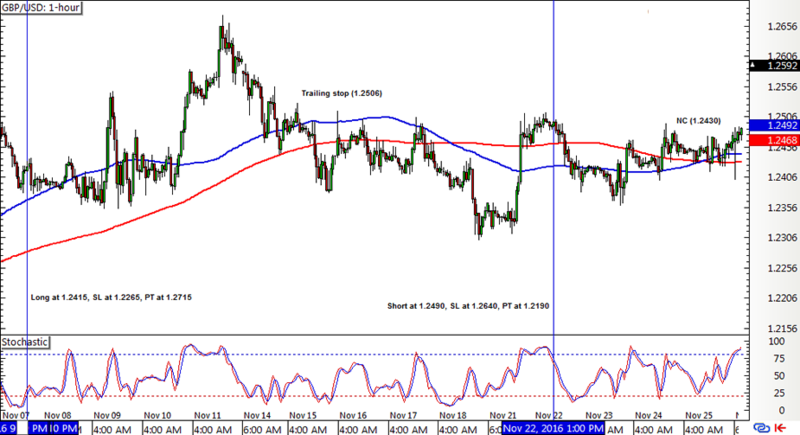 In my earlier update, EUR/USD had a downward crossover that was waiting for a stochastic pullback signal to short. This signal took a long while to materialize, but fortunately it’s already locking in some pips with the trailing stop in place before the pair bottomed out. 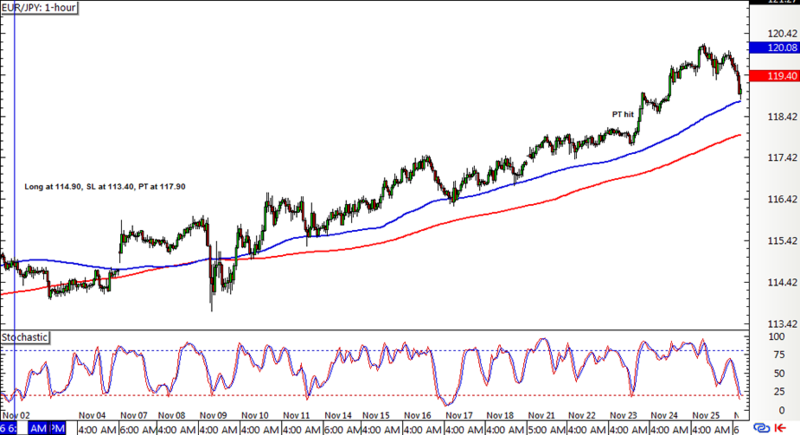 The long position on EUR/JPY was left open for a couple of weeks, as the uptrend strengthened and the pair eventually hit its 300-pip profit target. Woot woot! Cable was stuck in Chopsville and the moving averages kept crisscrossing, but the risk management rules on trailing stops and new crossovers still caught some pips. Phew! 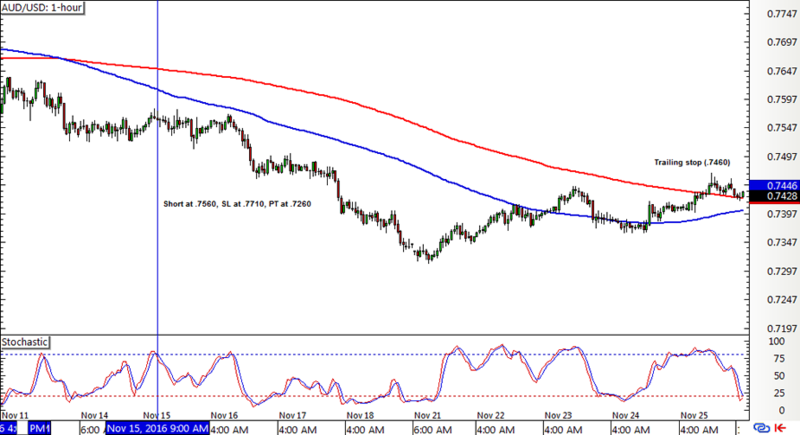 After a choppy run a few weeks back, AUD/USD got a stochastic pullback signal to short and established a pretty decent downtrend enough to get the trailing stop activated. This stop was hit as price started to retrace from its drop last week. That’s what I’m talking about! 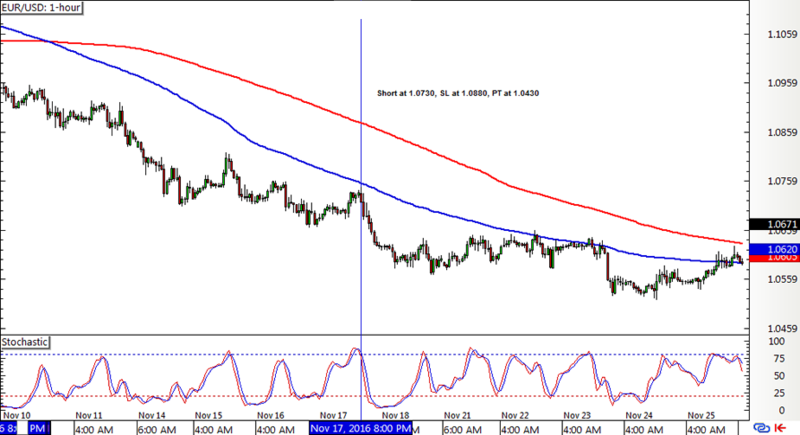 The SMA Crossover Pullback system bagged a 551-pip win or a 3.67% gain on the account even with choppy price action on GBP/USD and a couple of somewhat late signals. EUR/USD still has a short position left open and this one’s locking in gains along the way since the trailing stop has been activated. With just a few more weeks left for the last quarter of 2016, do you think the system can follow up its strong performance like it did for Q3? Stay tuned for my next updates!